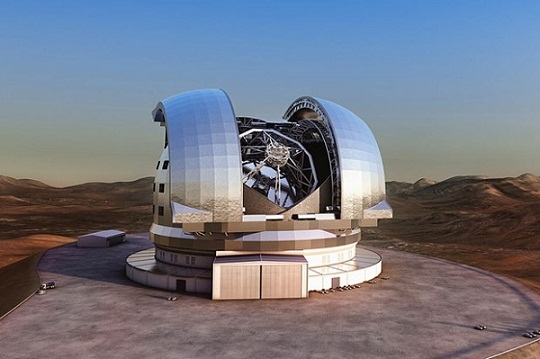 The world’s largest telescope is slated for completion by 2020 and will be placed on the Cerro Armazones mountain in Chile. Its 40 metre-wide mirror made up of almost 800 hexagonal segments definitely warrants it the title of the world’s largest optical telescope. The €10 billion instrument will be built by The European Southern Observatory and will be capable of directly imaging large exoplanets. For more information, please visit: http://www.wired.co.uk/news/archive/2012-06/13/extremely-large-telescope.